Technology has become a part of our everyday lives, and understanding how to function in environments that require the use of computers and the Internet is more critical now than ever before. 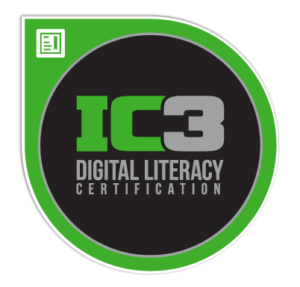 So, whether you plan to pursue a career in IT, or simply become more effective with technology, the IC3 Digital Literacy Certification is your solution. In today’s high-tech world, digital literacy is a requirement. The best way to stand out in the crowd is to have the IC3 Digital Literacy Certification credential on your resume. Every job and career, every field of study, and even our social and personal lives are increasingly impacted by technology. 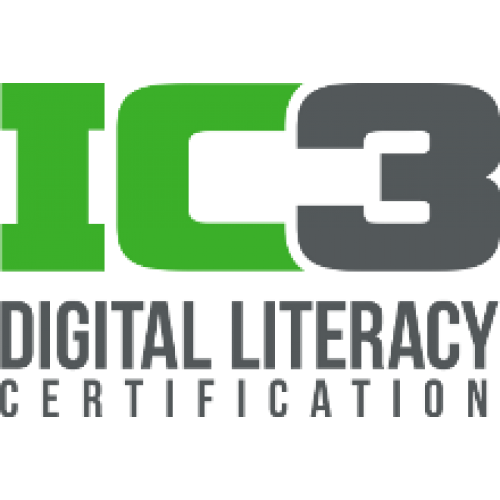 The IC3 Digital Literacy Certification certification helps teachers prepare students to enter the next phase of life, whether it is in the workforce or in high-education. For both the student and the job-seeker IC3 provides the foundation of knowledge needed for success, and it is a well-respected and internationally-recognized credential that reflects the most relevant skills needed in today’s academic and business environments. Regardless of your career or education goals, computers and technology will most likely play and important role. To make sure you are prepared for success, get the most up-to-date and globally recognized digital literacy certification available, IC3. 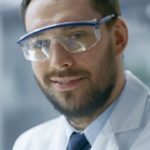 A job candidate or college applicant with IC3 Certification is instantly recognized as already having the critical entry-level skills needed to function effectively in academic and work environments. 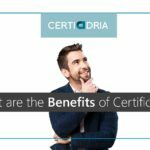 IC3 certification validates skills using the latest computer and Internet technology to achieve business objectives, expand productivity, improve profitability, and provide a competitive edge. You also get instant access to Certiport Authenticated Digital Transcript. This first-of-its-kind service lets you easily access your exam and certification status, and enables you to share this verified information with potential schools, employers, and staffing agencies.